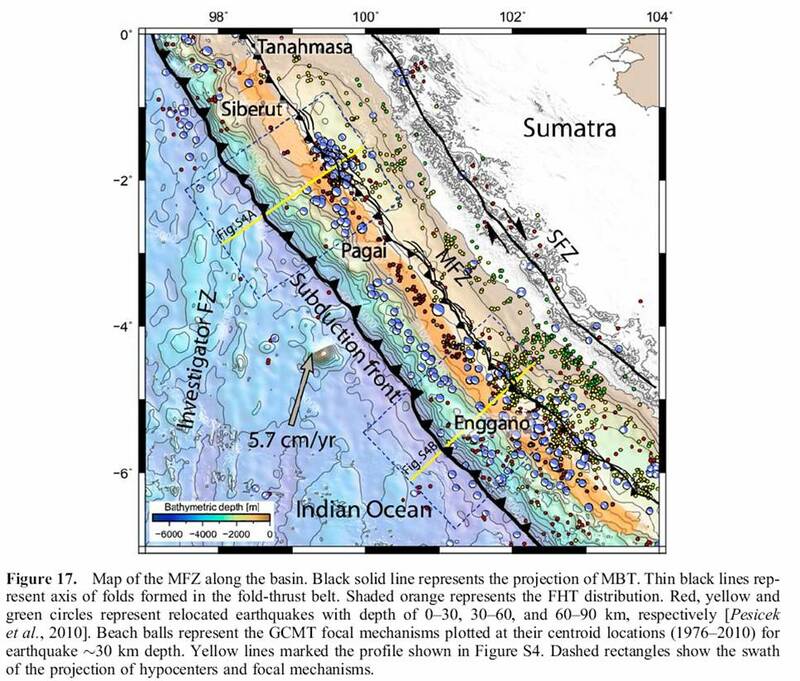 This article presents the interpretation of newly acquired high-quality industry-standard deep seismic reflection and swath bathymetry data to provide insight into the structural style and evolution of the Mentawai Fault Zone (MFZ). The structural style, lateral distribution and kinematics of the fault zone has been discussed related the development of forearc high thrusts and accretionary wedge mechanics. The implication of this fault zone to the coseismic rupture during slip of the megathrust is also discussed. Tagged backthrust, fault propagation, fold-thrust, forearc, forearc high, forearc high thrusts, insequence thrusts, ma'ruf mukti, megathrust, mentawai fault zone, seismic, tectonics, tectonics of indonesia.